When I began my last post about infertility and insurance I had no idea I was going to go down that path. The post was supposed to be about something completely different, but then I found myself following a new train of thought that has now led to a whole series of posts I have planned. That’s what I love about blogging and what makes it so cathartic, it helps you uncover and work through feelings and thoughts you didn’t even know you had. The insurance post began by highlighting one of the few positive outcomes of our last failed cycle. With more than a little sarcasm I began with a discussion of our tax savings due to our hellacious IVF spend in 2013. It was intended to simply be a preface that led to a broader discussion about another benefit of our last failed cycle, one that I am less sarcastic about than giving a doctor tens of thousands of bucks just to save a bit on what we give Uncle Sam. The other benefit I am eluding to is that now we can begin at the beginning. When we started this blog, we were already in the middle, waiting to do a frozen embryo transfer back in January. We were in the last leg of a long journey with one of the best clinics in the country. 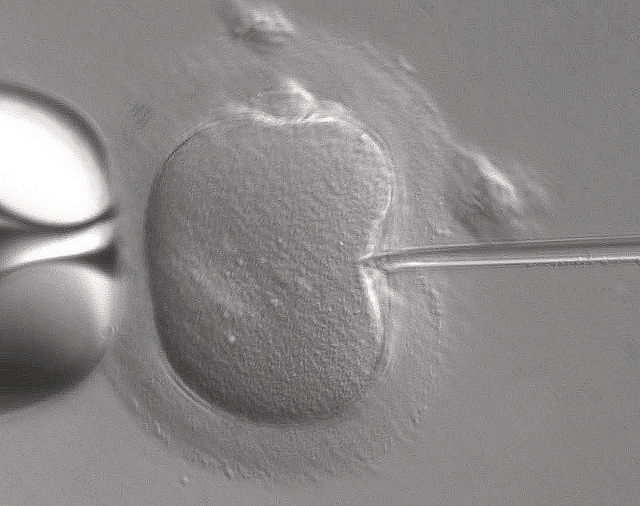 We had already completed the most intense and challenging part of IVF. So much had already happened that we did not have the opportunity to share and explain. Now we have that opportunity. I always planned to go back to the beginning and describe the stimulation process, retrieval, and how we prepared for and experienced both regardless of whether or not the last transfer stuck. One of my hopes for this site is to build a repository of information based on real life experiences so that those in search of information can find it here anytime. While I could do this based on memory, there is nothing quite like documenting experiences as they occur in real time. Sure I would rather be pregnant right now, but since that didn’t happen I will just have to settle for the blog being slightly more interesting and helpful for other infertiles. The beginning, the whole IVF process from start to finish, officially kicks off tomorrow when we have our consultation with New/Old clinic. This is kind of a big deal because we live in a rural area and our clinic is over three hours away which means a whole day off work to fit in an hour long discussion. As a result of the distance we have our monitoring done locally so this is one of only a handful of times we will be there in person and can look our Miracle Man in the eye to ask him the tough stuff. I have my usual list of twenty questions ready for Miracle Man and saved in my phone. By tomorrow night we will have our official plan and will have taken an important step toward a sibling for Spork. Friday our “Baby in a Box” will be delivered to our door. As is always the case at this stage, our sadness has all but lifted and we are growing hopeful, anxious, and excited about this next step. Stay tuned, wish us luck, and enjoy. P.S. I still don’t have a name that feels right for “New/Old Clinic” so for now that is it. If one strikes me that fits I will let you know. That’s awesome that your monitoring can be local! My clinic is 2hrs away, but I still have to go for everything other than blood work.